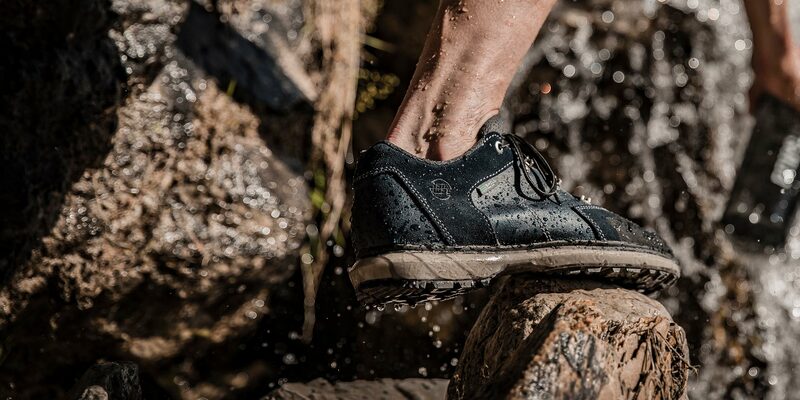 Waterproof, breathable, sustainable – when Hanwag introduced its Eco-Shell Footwear last winter it was the first time that we used a proprietary membrane with no fluorinated chemicals. Eco-Shell Footwear was an important part of the winter footwear in our Active Winter product line. Now we are integrating it in our summer collection. For years, waterproof outdoor equipment has been treated with fluorocarbons to make it water resistant. However, these high performance chemicals – in particular PFCs – are not natural, break down very slowly and are characterized as persistent. They can also be harmful to people, animals and the environment. This is why Hanwag aims to stop using fluorochemicals in the long term. Eco-Shell Footwear is a first step to reaching this goal. Hanwag successfully introduced TubeTec technology last summer in its Hike category. For this innovative sole construction, Hanwag is using an extremely shock absorbing PU midsole material for the first time. To make it suitable for demanding outdoor use, a TPU “tube” protects the softer, cushioning PU sole from mechanical damage, whilst also providing the required stability. Developed and manufactured exclusively in Europe, all Hanwag TubeTec models offer optimal cushioning and stability for multifunctional, outdoor use. What makes the Hanwag TubeTec Eco sole so special? The PU midsole material is made of 25% recycled material. These black elements, which are visible in the sole are recycled from leftovers from the production of Hanwag ALASKA soles. The material is reduced to small pieces, mixed with the PU and poured into the “tube”. The TPU “tube” itself also consists of 5% recycled material and guarantees maximum protection for the PU core and durability of the sole. Specially developed Hanwag TubeTec rubber compound ensures perfect grip and traction – and for the TubeTec Eco, it’s made of 20% recycled materials.